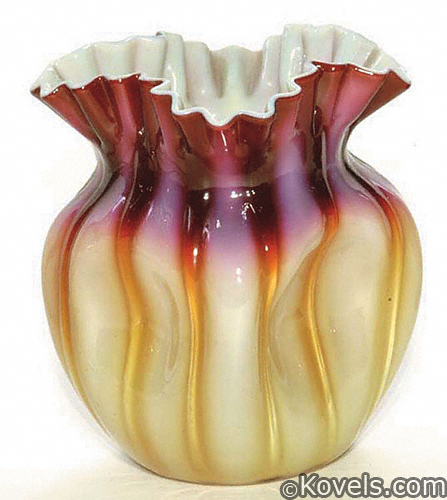 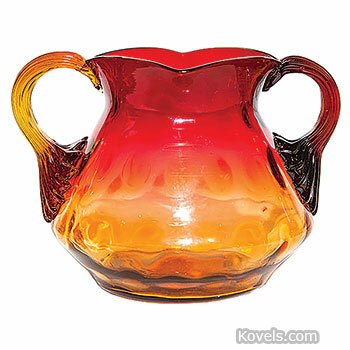 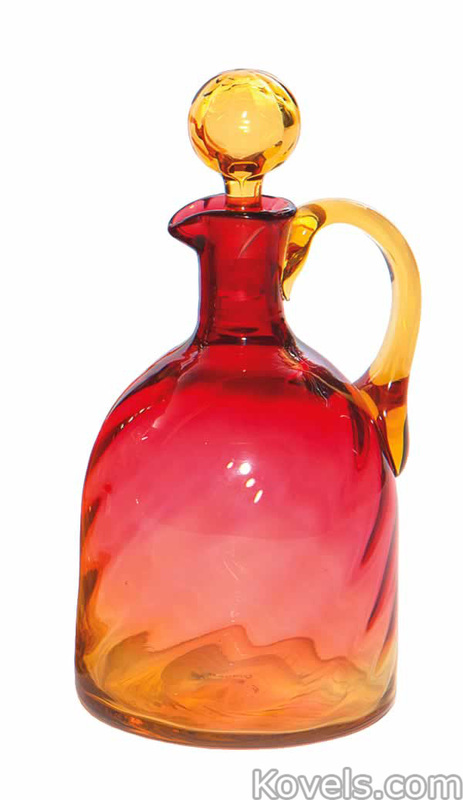 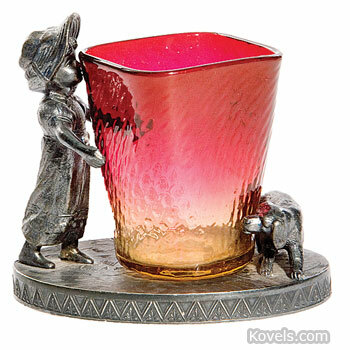 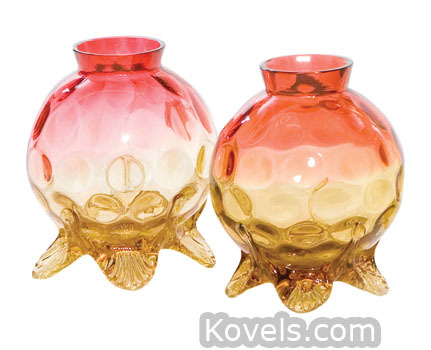 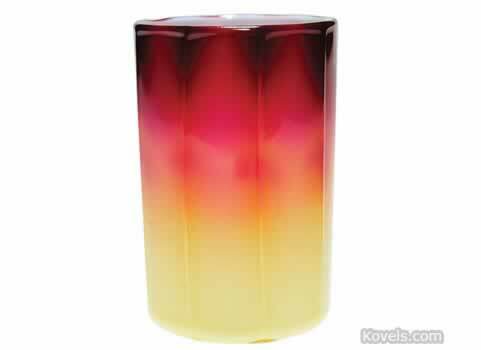 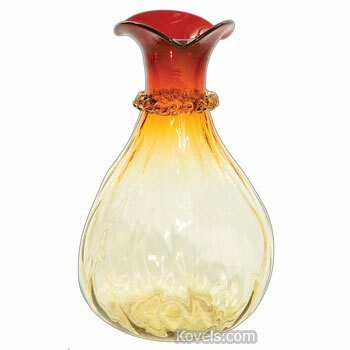 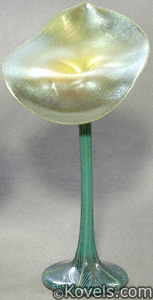 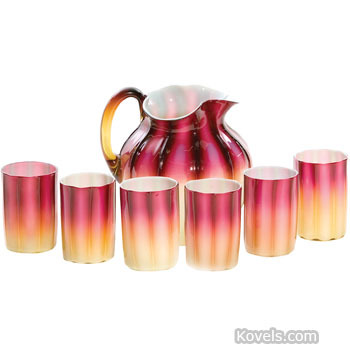 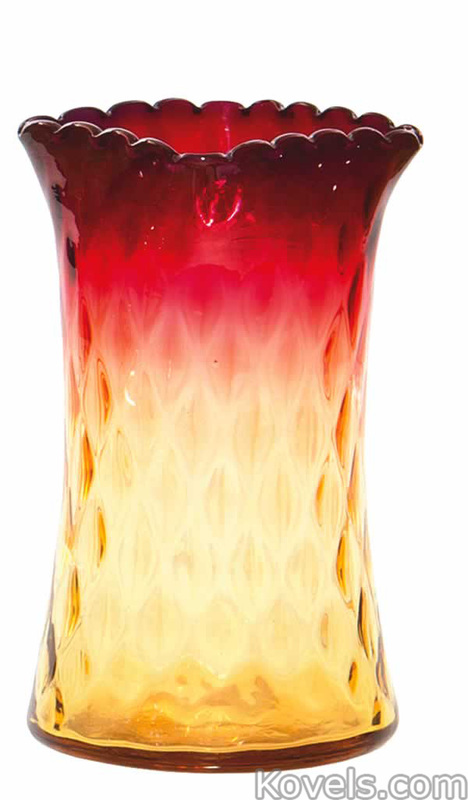 Amberina, a two-toned glassware, was originally made from 1883 to about 1900. 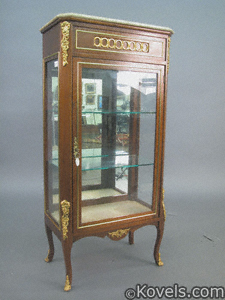 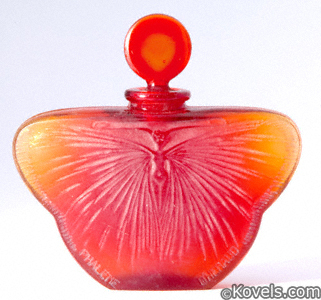 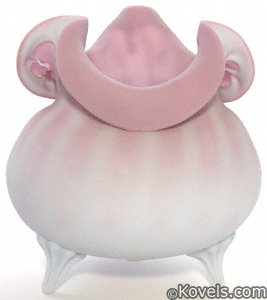 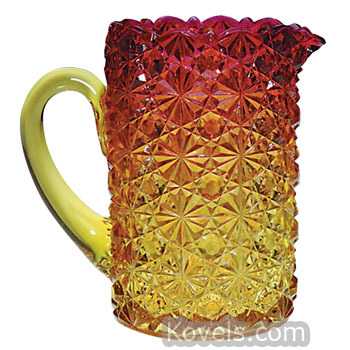 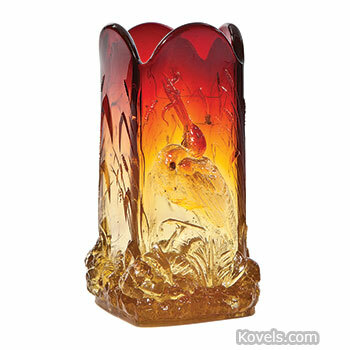 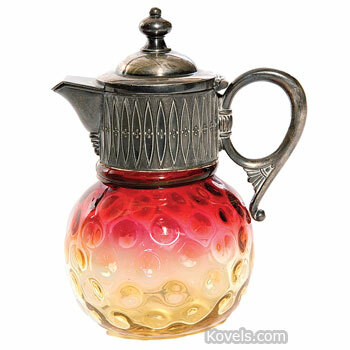 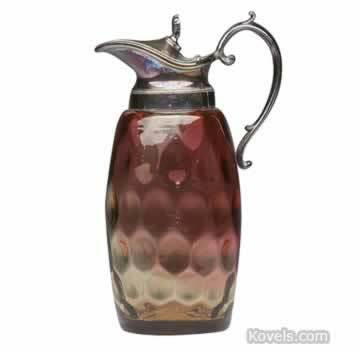 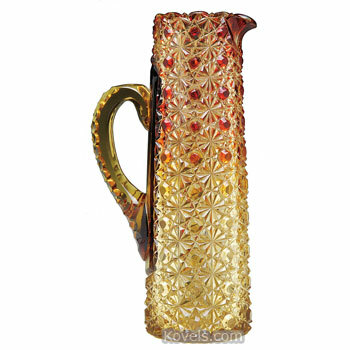 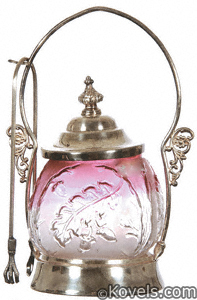 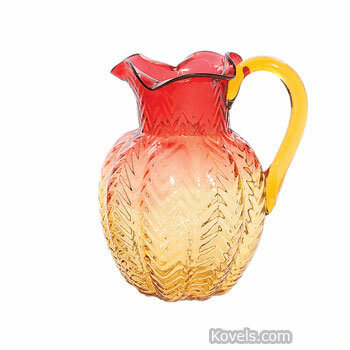 It was patented by Joseph Locke of the New England Glass Company, but was also made by other companies and is still being made. 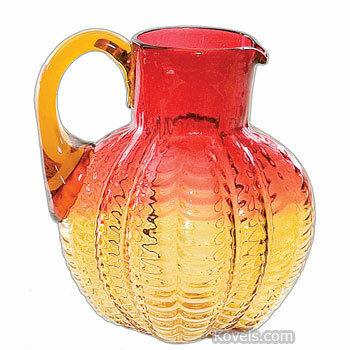 The glass shades from red to amber. 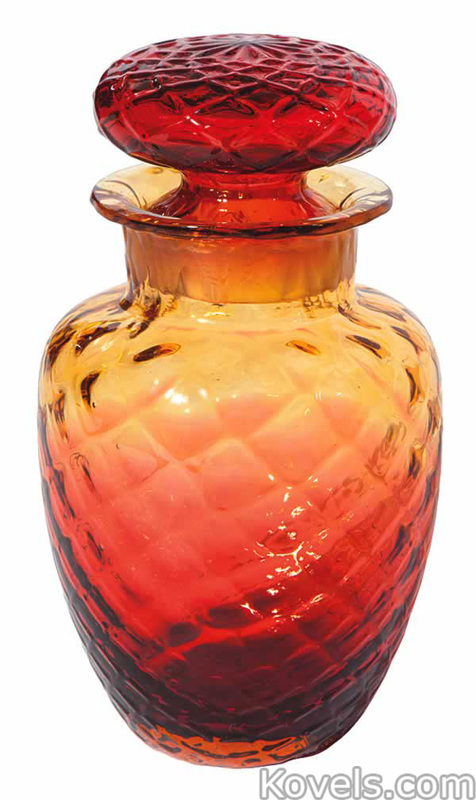 Amberina is usually red at the top because it is much easier to reheat the top of a piece than the bottom. 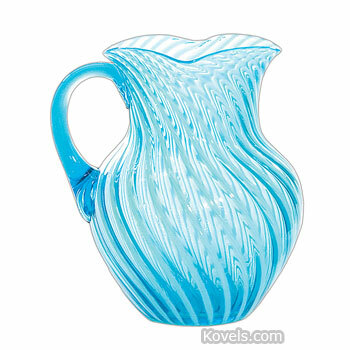 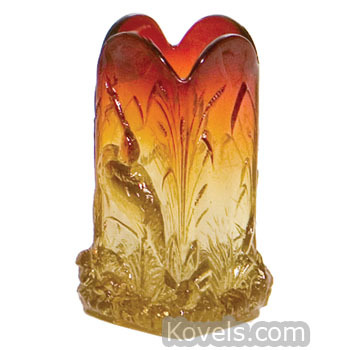 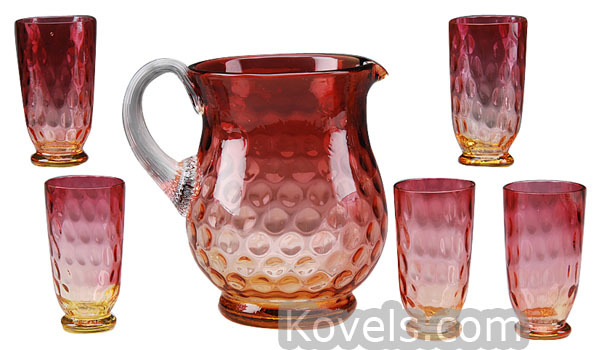 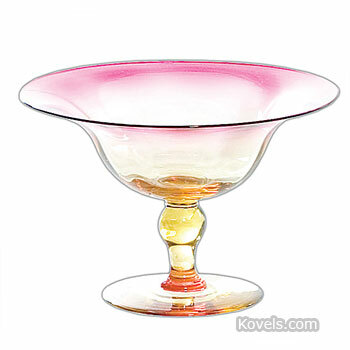 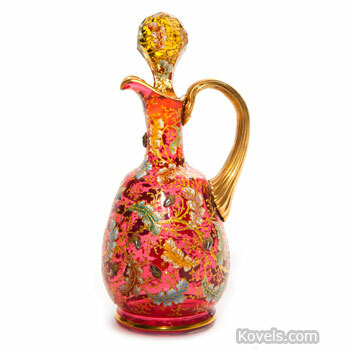 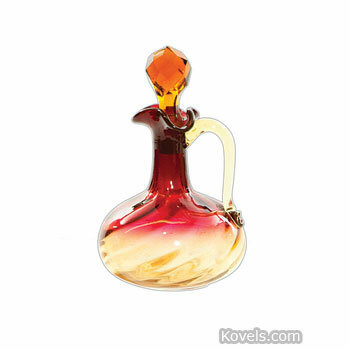 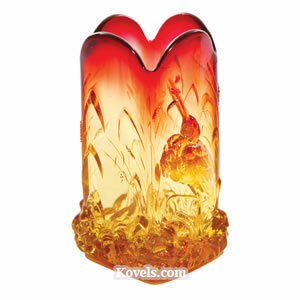 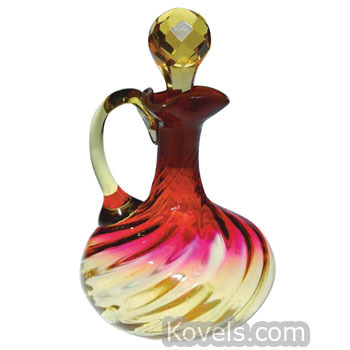 Similar pieces of glass may be found in the Baccarat, Libbey, Plated Amberina, and other categories. 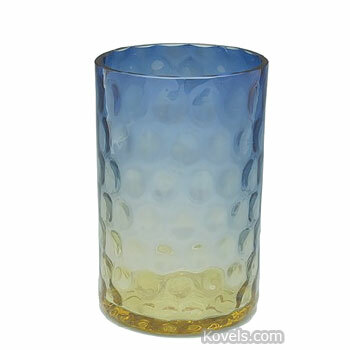 Glass shaded from blue to amber is called Blue Amberina or Bluerina.